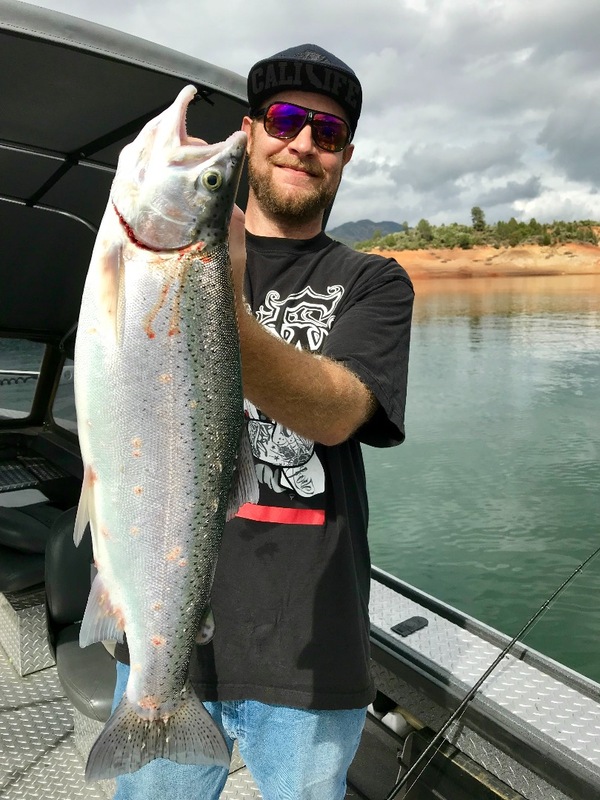 Shasta Lake late summer rainbow trout! Good job Lou! 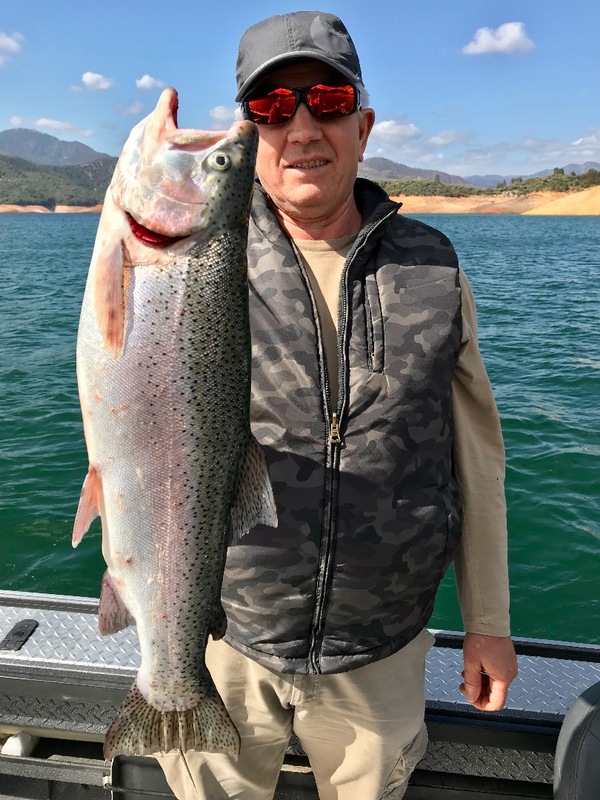 Well, it was another great summer trout season on Shasta Lake and todays trip was definitely the perfect end to a great season! 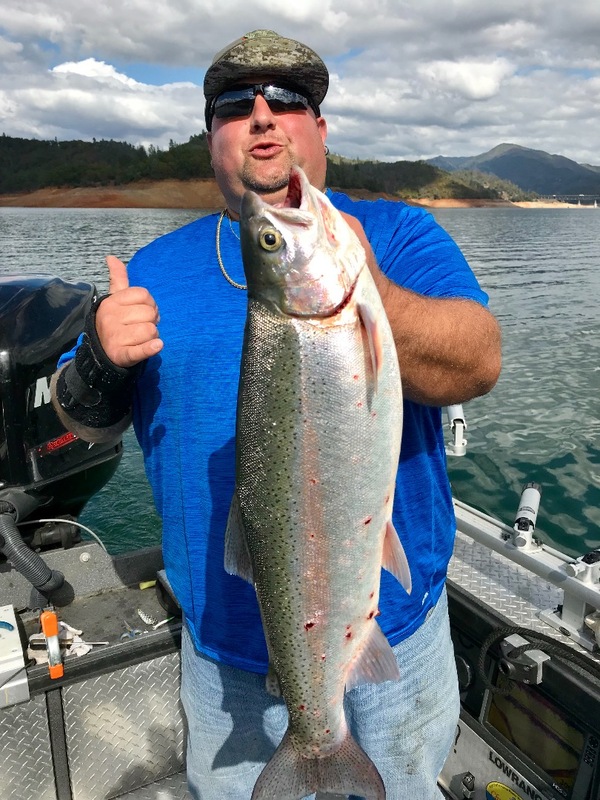 Great clients and some big fat trout made for a great day and a reminder of how lucky I am to be fishing and guiding on Shasta Lake The Carr, Hirz, and Delta fires definitely put a damper on the best months of the summer (August-September), but we pushed through the tough conditions and made the trips we had work. Today I ran my last trip of the summer season, but will be firing back up on Shasta Lake in Novemeber. The lake will have turned over by then and we will once again be hunting big browns. 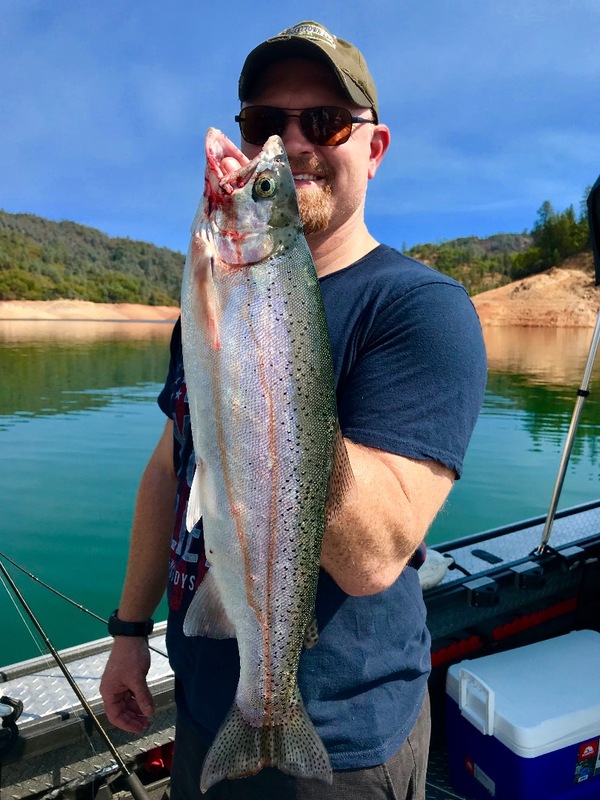 The fishing should remain good on Shasta over the next few weeks, but I'm finishing up my river salmon trips on the Sacramento River before taking some time to get ready for my 9 month long season on Shasta, Trinity, and Whiskeytown Lakes. I'll be on the browns for quite a while and have plenty of open dates for those of you who wish to get in on some big fish hunting. Working hard for Shasta rainbows!